“Rob the jewellery store and tell ’em make me a grill” – don’t even think about robbing a jewellery store! 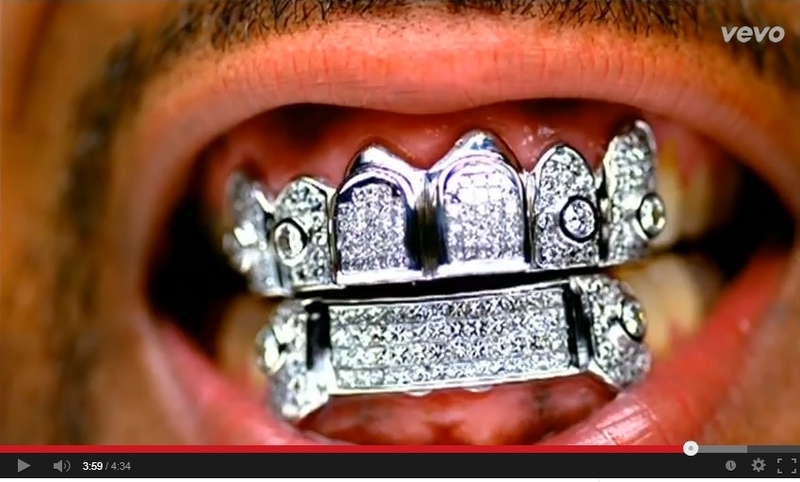 And yes you’ve guessed it, Grillz by Nelly is my video of the week. Why? Well first of all it’s such a tune, and second those grillz look wicked I must buy a pair. The oversize t-shirt and baggy jeans style seems to be the epitome of urban fashion in hip hop videos.